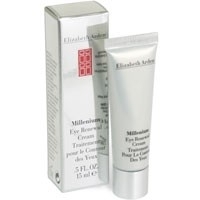 Millenium Eye Renewal Cream by Elizabeth Arden is a concentrated emollient cream that mosturises and eases the look of dryness and fine lines around the sensitive eye area. Fragrance-free. Good for maturing skin.